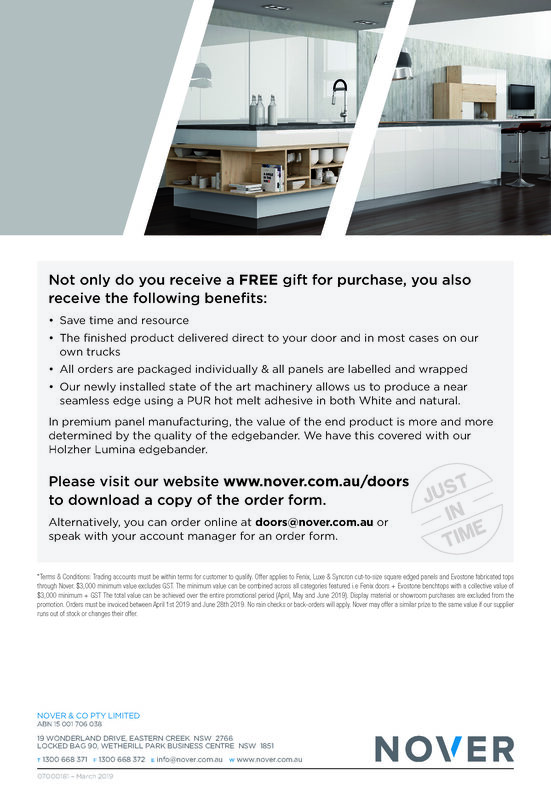 During the months of April, May and June 2019, we are offering an exciting promotion for our cut-to size doors and Evostone benchtops. 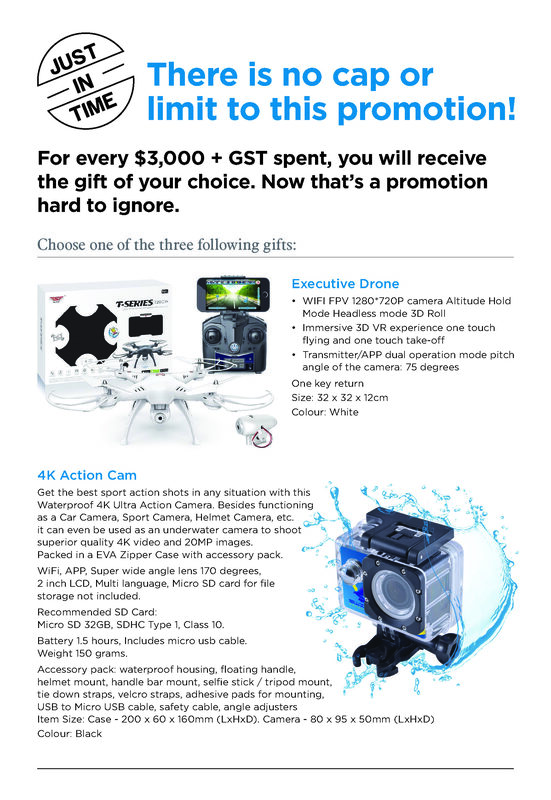 Simply spend $3,000 + GST during the three month period and receive a FREE gift of your choice. * For every $1 + GST spent during the promotional period, Star Partner customers will have $1.50 + GST assigned to your yearly progress. 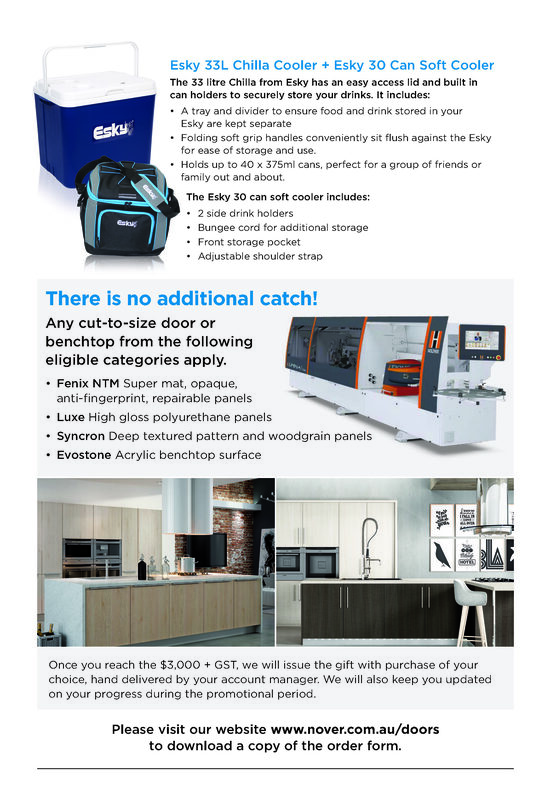 The minimum spend of $3,000 + GST is still required to receive one of the gifts on offer, however we will calculate this spend as $4,500 + GST towards your Star Partner target and so forth.